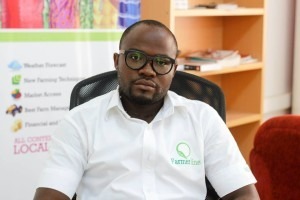 Amos Olertey Wussah is a Snr Consultant, Corporate services, for Farmerline. At Farmerline, Amos collaborates with nucleus farmers to train smallholder farmers in the use of technology to improve their yields and livelihoods. Amos has a strong background in sales and marketing, data analysis and risk management. He has also worked in the development of iCottage Networks’ business model and business potential. Amos has held a number of managerial positions and been involved in many volunteer initiatives. He holds a Degree in Economics from Kwame Nkrumah University of Science and Technology.